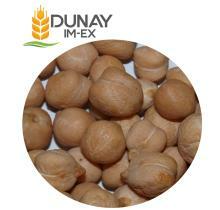 Dunay IMEX is a Ukraine based company that exports various grains worldwide. For more than 20 years Dunay IMEX has been supplying top-quality no-gmo crops to more than 20 countries all over the world. We are located in Izmail city in the South region of Ukraine which enables us to have fast access to the grains from the biggest agricultural area in Ukraine. This region has also efficient logistics possibilities via road, rail, sea or river, that enables us to quickly respond to the orders of our customers. From 1997 we have managed to build strong business relations with large Ukrainian agricultural producers to constantly contract high-quality products. Moreover our company has its own processing, cleaning and storage facilities which allows us to insure up 99% of the seed’s purity and ensure appropriate storage conditions. Address : 15 Bolgradska str.